Usually, an event recap refers to one single event. 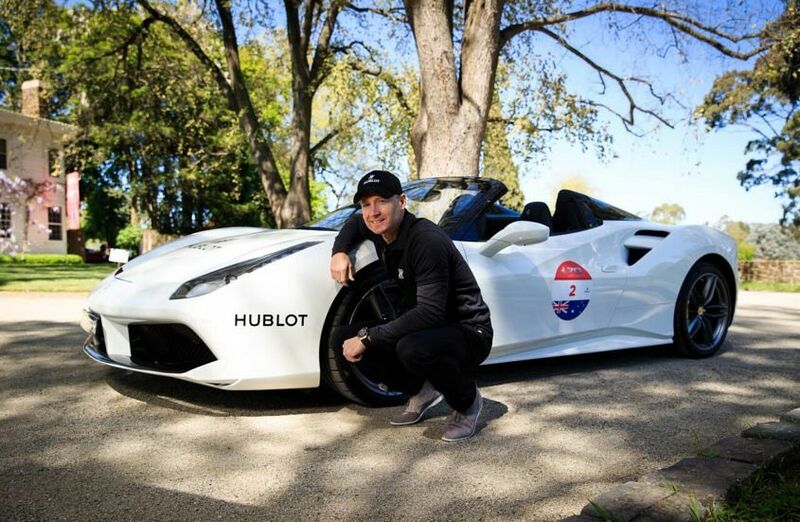 This one, however, details a week-long bash during Melbourne’s Motorclassica that saw the town literally painted red when the Royal Exhibition Building was lit up in a bold Italian red, with Hublot and Ferrari logos stamping the iconic site. It also included the largest ever convoy of Ferraris ever assembled in Australia, and a hell of a party to reveal the new LaFerrari Aperta in the Melbourne Docklands. 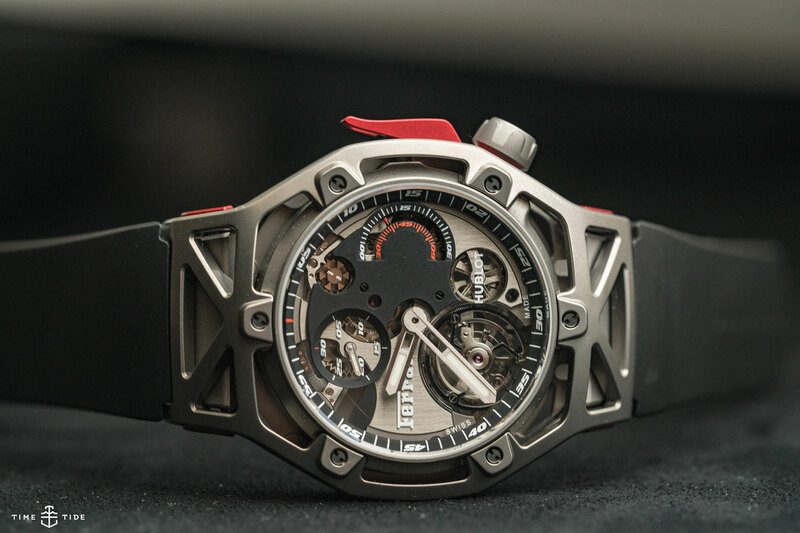 Last, but certainly not least, was a new watch co-designed by Ferrari and Hublot, the extremely limited Techframe Ferrari 70 Years Tourbillon Chronograph. 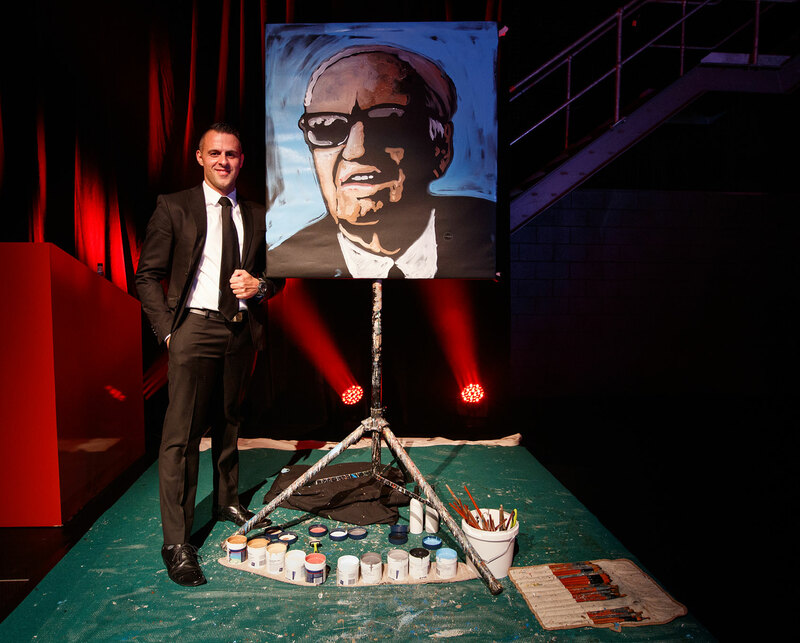 The Red Party, held at Docklands Studios, was a cinematic affair that began with canapés, a jazz trio and dramatic floor-to-ceiling curtains in lush red velvet. The dress code was black tie with a ‘splash of red’, which saw many a red pocket square blooming from the breast pocket of black dinner jackets, including mine and Hublot Brand Manager Joel Ruiz, who looked as dapper as ever. 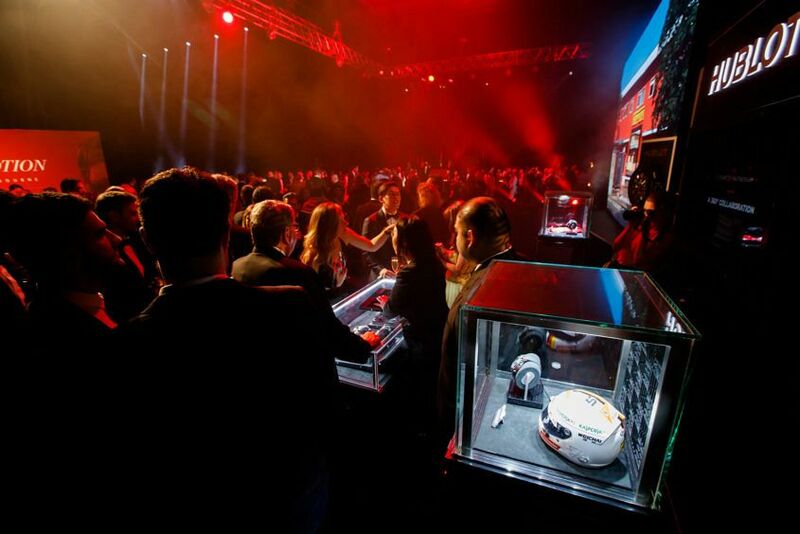 After a brief announcement from Ferrari Australasia Chief Executive Herbert Appleroth and a movie telling the story of the once humble Ferrari factory projected on a huge screen, it split in two and guests walked through the breach into a scene that recreated the Maranello factory in the 1940s. 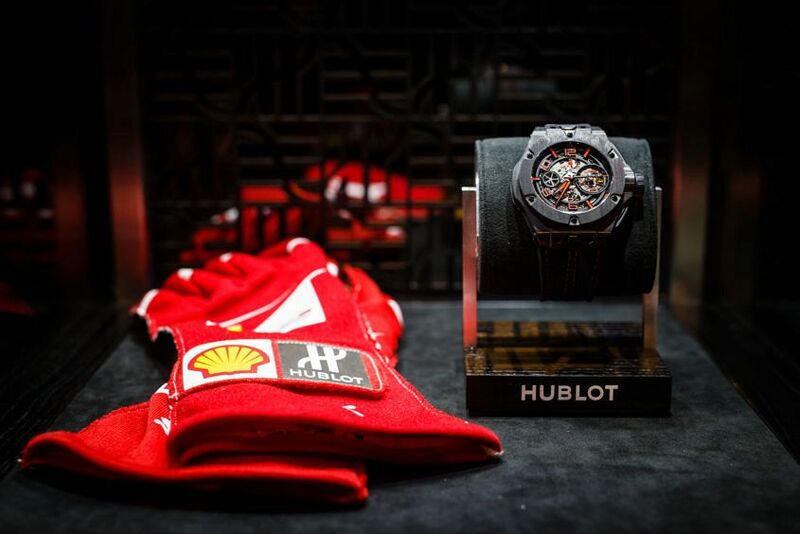 Hublot’s timepieces were on display with the Techframe Ferrari 70 Years Tourbillon Chronograph taking centre stage. Later, the projection screen on the stage once again rolled apart and, amidst billowing clouds of mist, the LaFerrari Aperta emerged. The final reveal for the evening was performance artist Matteo Charles’ portrait of Enzo Ferrari, which finally took shape from a seemingly random series of brush strokes – what made it harder to pick was that the talented artist had done the likeness upside down. 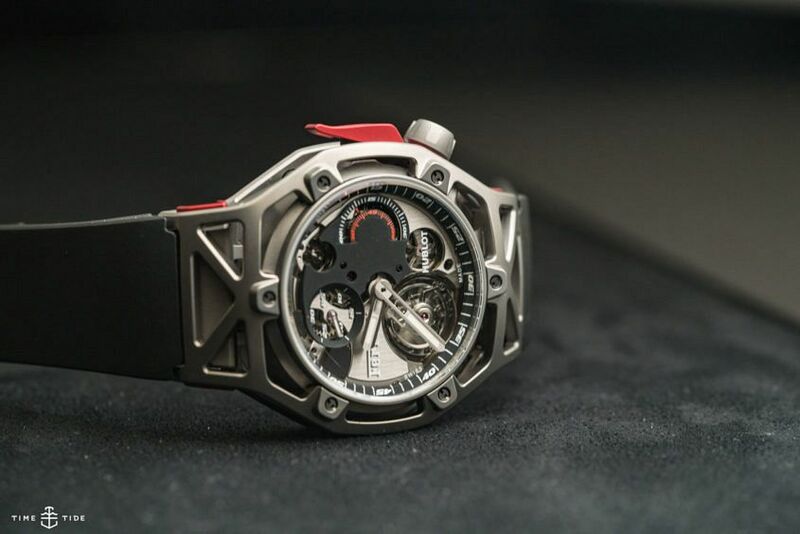 The tagline for the the new Hublot Techframe Ferrari 70 Years Tourbillon Chronograph is “Designed by Ferrari, crafted by Hublot”, meaning that it started as a blueprint under the leadership of Head of Ferrari Design Flavio Manzoni in Maranello and was built in Nyon by Hublot. 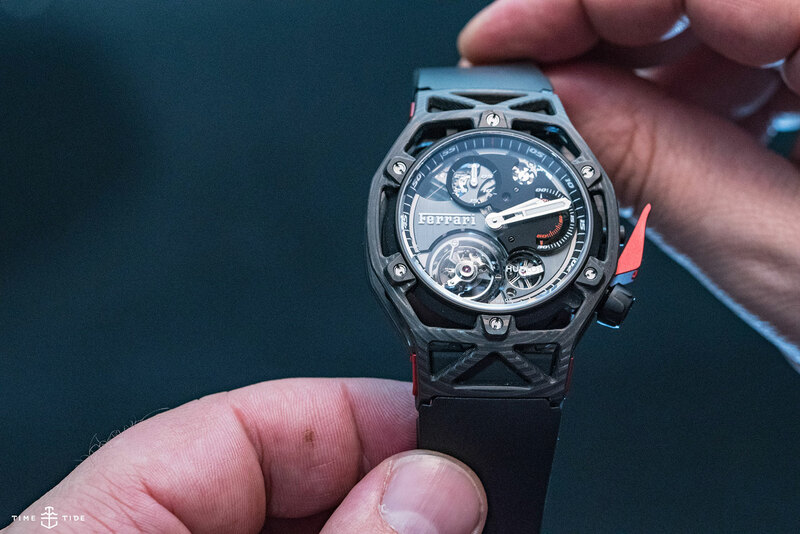 The Hublot manufacture took this design by Ferrari and implemented it in a chassis case with a modular construction of three components — skeleton middle, container, and back cover. Available in King Gold, titanium and PEEK (Polyether Ether Ketone) Carbon, which is a multi-layered hypoallergenic material made from particularly long carbon fibres that is extremely durable and reliable. Under the bonnet is a Tourbillon Chronograph driven by Hublot’s new HUB6311 calibre with manual winding — 253 components — offering five days of power reserve. The single-button chronograph — one button for the start-stop-reset functions — is handled by an original lever in Ferrari red anodised aluminium. Each of the three versions is limited to 70 pieces.